KoopaTV: Voting? User Participation? Elections? RIGGED. By LUDWIG VON KOOPA - Stick to monarchy, where we make decisions for you. Once upon a time, KoopaTV had a poll on the sidebar of the site. That didn't last very long at all and I took the non-participation as y'all hating polls. Now it's sort of replaced with the more-private-to-others-but-not-to-us KoopaTV Feedback Form series! While I love to cite GameFAQs polls for statistical measures, I strongly believe that anything where you're asking a large body of people to make a decision is inherently rigged. After all, there's a saying that the dudes who counts and records the votes are the ones in power. This goes for everything from Nintendo's Everybody Votes Channel, to Splatfest participation, to the Super Smash Fighter Ballot. There's no independent verification that the reported results are accurate. And why would there be? The ruling class already has a predetermined result in mind. They're not going to change how the system works and unnecessarily put themselves at risk. Silly. I have proof that elections and election results are rigged. RIGGED! Just take a look at some of these examples, including one ran by that scumbag Mario. ...But Hillary Clinton got more delegates. Now, what the hell is with that? Apparently, it's one of these superdelegates situations. That whole superdelegate thing is so incredibly corrupt (back in 2008, then-candidate Barack Hussein Obama was a superdelegate and voted for himself), but still not corrupt as Super Mario. King Bowser is winning in a stunning landslide even greater than how much Hillary Clinton wins with the Mexicans vs. Donald Trump! Back before Mario Party 5 came out, there was this whole election campaign marketing theme. It had nothing to do with the game (which I didn't realise until after I bought it — so it was a terrible game) but it was topical back in 2003–2004. The website was divided between the Mario Party and the Bowser Party. Obviously, the Bowser Party was the better one, and the polling reflected that. You can see above that the election results (erroneously deemed Approval Rating — approval ratings are supposed to be used after a candidate wins, not as a head-to-head polling measure. Though apparently he got access to the Rose Garden before being elected?) was 1% Mario Party, and 99% Bowser Party. Lemme tell you: The Bowser half of the site didn't have a poll. Only the Mario half. Additionally, the default landing page was the Mario half, meaning that the first thing people saw on the site was Mario Party propaganda and a poll asking you to vote for Mario. That Bowser head also isn't King Dad's most... flattering image. Still, even with that, the Mario Party was being trounced. The Bowser Party's supporters swarmed the poll in droves. So, what happened when you voted for Bowser after the result was 1% to 99%? You go from 1% – 99% to 80% – 20%. Trump's right. It's fundamentally wrong to reward Hillary Clinton for rigging the system (after all, she was always the inevitable candidate — how dare the grassroots oppose her?!) by then voting for her. We felt bad for Bernie Sanders and let him publish an AMAZING and YUGE guest article on our website on Monday, at the risk of some readers thinking that we're a bunch of socialists. Nope. We're just Fair & Balanced. That said, he probably legitimately lost California because he never actually gave us the Spanish translation of that article, and he got killed among Hispanics according to exit polling. “Realizable characters” was never defined. Oh, there's theories about what it means. But it could mean anything. We'll never know for sure. Does anyone seriously believe that Link vs. Draven was a valid result? Draven (the obscure League of Legends champion) was voted the Best Character Ever as of 2013 on GameFAQs's Character Battle IX. There's a long story over the 24 hours that poll was ran, but basically GameFAQs's servers fell apart (thought to be a DDOS by the users) for an hour, making it a 23-hour match. This was allowed to stand, despite that hour being during Link's critical comeback time. Rigged. Why bother with these rigged polls and elections? In Koopa Kingdom, we don't ask the people what they want. 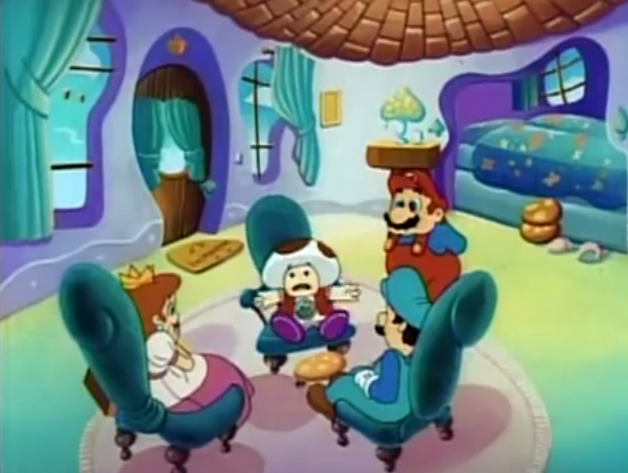 We, the Royal Koopa Family, just do things and enact some policies for our peasants from our castle. We implement the right things because we care about Koopa Kingdom. Koopa Kingdom's legacy is our legacy. Free King Koopa plushies and false teeth aren't actually one of our policies. We're not socialists. Meanwhile, a candidate like, say, Hillary Clinton, just sees the United States as something to plunder for her personal gain. She'll be out in four to eight years, and after that, “what difference, at this point, does it make?” what happens as a result of her policies? Some other schmuck will have to deal with the consequences while she's enriched. 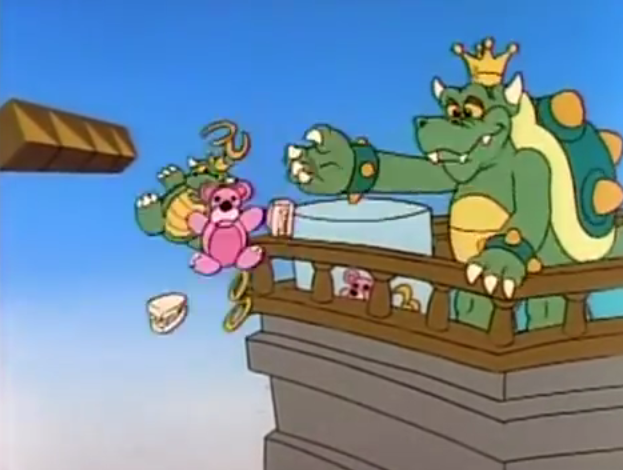 With a monarchy, the Royal Koopa Family will always be responsible for our decisions. We don't have to care about silly polling. We don't have to worry about pandering for the next election, and we don't even have to put effort into rigging said election. Without caring whatever is “popular”, we can be objective. Mario is literally discussing among his camp about how they have to do something to rig the election. Monarchy? Best system. Best of all, we don't have to kiss any babies. ...Terrifying. This is what elections do to you. Despite the Mushroom Kingdom having a monarchy, it's still ran poorly by Princess Peach Toadstool. Koopa Kingdom tries to do the Mushroom citizens a favour by kidnapping Princess Peach and replacing her with an actually capable ruler. Peach conducts polling, so that may be the problem. ...Or maybe she's a bad ruler because she's a woman. What do you think? In Alberta, Canada, one KoopaTV reader took that step and gave that province to Koopa Kingdom to end democracy. Not only are elections rigged, but investigations of a certain public official are rigged. Nintendo is trying another ballot, this time for the Fire Emblem series. How honest will this be? Ludwig writes an article dedicated to asking the KoopaTV readers to rig a self-serving poll for him. I never found the right place to say this, but I can confirm the statement,"...everyone is deluded into thinking he's the “good guy.”"
In 2012-2013 5th Grade, students basically saw two perspectives: good and evil. Everyone saw Barack Obama as the good guy, and the sign of "hope," while we saw Mitt Romney as the bad guy. Simply, people are uninformed, primarily for the worse. Pft, who cares what elementary schoolers think? Shouldn't Obama's "hope" signifier have worn off during his first term? Team Dogs won in NA so no one will say Judd is biased. Then in EU Judd decided to make Cats win. Cats stereotypically hate water, Roller Coasters won. I think cats would prefer meat like hotdogs than what is left of the animal in the form of gelatin of marshmallows though. Decepticons are the "evil" team. Cats are sued as props for "villains". Scientists dissect stray cats and tries to find ways to control the stray cat population. Choosing art for Judd is the better option. On planes, cats are forced in the luggage area. Cars leads to the veterinarian clinic. Cats are stuck longer in cages for the duration of the flight. Sailors bring cats on ships to control rat populations and this probably goes for pirates as well. Hamburgers have more concentrated meat for cats to eat. Past: Cats were worshiped in Egypt. Sandcastle: Sand is for a cat what hydrants are to dogs. Patrick: Well Gary the snail which acts like a cat in Spongebob's world went to Patrick for food before. Maybe Spongebob restricts Gary a bit too much. Fancy: Judd dresses up fancy, spiffy "villains" stroke cats. cats hate being forced to wear stupid costumes. With regards to science, it is because of science that Judd is even alive. So like dogs, Judd had to give Art the win to throw off any suspicion. He also felt bad that Callie said she supported Judd in her Team Cats intro and had to make her lose for his personal agenda then that she gave her some wins so that should explain Marshmallows and Art wins.